New firmware 3.02 now available! 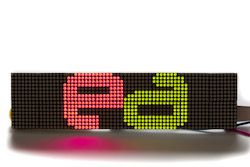 LED Matrix Displays (LED panels) are a fantastic way of displaying large amounts of information. However, if they are of any reasonable size tend to have fairly simple driving circuitry, which keeps the cost down but does mean you need to actually refresh the panel many times a second. Not fun if your microcontroller spends all its time simply updating the display. 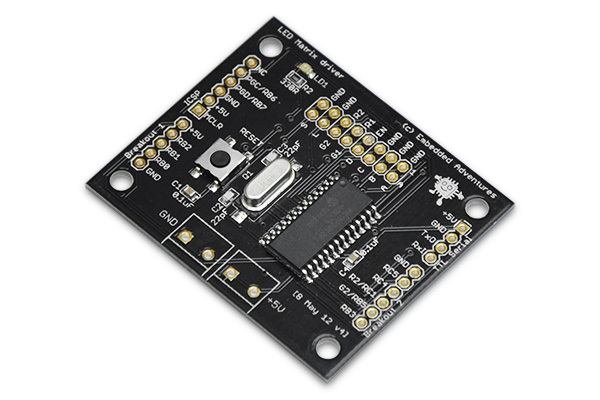 This driver board does all the updating for you and not only that, allows you to give powerful graphics, text and scrolling commands over a simple TTL serial interface. 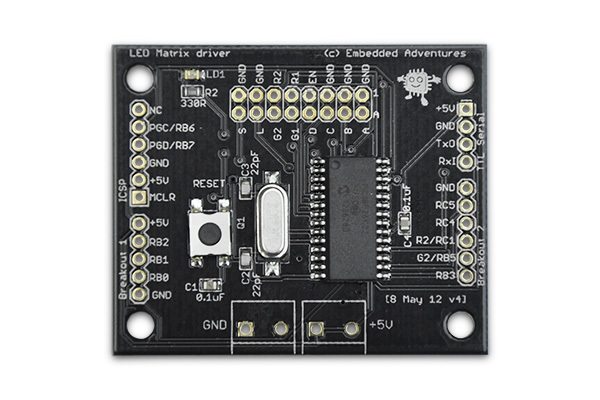 In this new version of the driver board we've simplified the board to reduce its cost, changed the form factor so it can be used as a "backpack" to slim displays like the LDP-6408 and LDP-8008, and moved it to be fully surface mount and pre-assembled. All that is required is for you to solder the appropriate connectors. 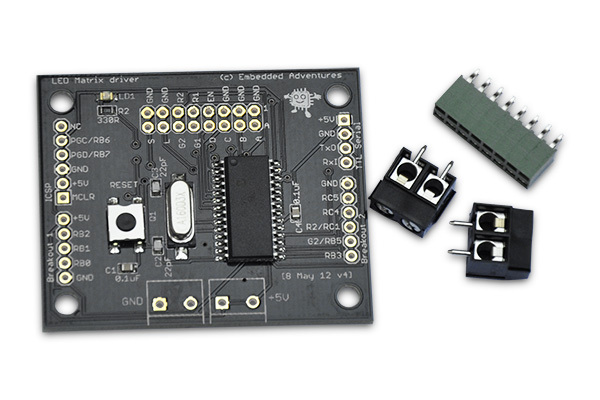 A 0.1" backpack female backpack header and terminal blocks are included. 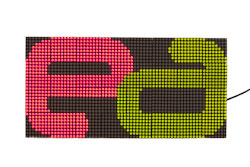 You will need a TTL serial connection to your PC so you can update the firmware to be appropriate for your given LED matrix display. Firmware: NEW! Version 3.02 now available. 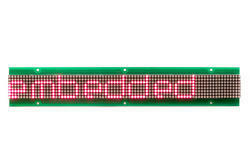 New features include: textr (right justified text) textc (centered text), brightness using PWM on the ENable pin, improved serial handling for faster updates.